This list has been compiled by the executive committee of the ISPS. It represents a central list of papers that are relevant for professionals training in the psychological treatment of the psychoses (including the diagnosis "schizophrenia"). The list contains old and more recent articles. With the growing number of papers on psychological treatments of psychotic disorders it may be difficult to discover new papers, easy to forget good papers published earlier, and important to find out which papers may be most useful. The EC wants the list to be supplemented as time goes by, and we want members to suggest new articles, and to tell us which ones to remove. Please contact Professor Jan Olav Johannessen, jojo@sus.no with your suggestions. Dillon, J (2009) The tale of an ordinary little girl. Psychosis, 2, 79-83. A poignant and powerful account of a life that could have been destroyed by abuse and trauma but with great courage, self determination, self awareness and critical analysis of the debilitating effects came to make peace with herself, her voices and ultimately prevail. Then with great generosity proceed to devote her time and energy to assist others who are dealing with similar issues'. Grace, A.A (2010). Ventral hippocampus, interneurons, and schizophrenia: A new understanding of the pathophysiology of schizophrenia and its implications for treatment and prevention. Current Directions in Psychological Science, 19, 232-237. This fascinating article proposes that dysfunction in the dopamine system is related to hippocampal dysfunction, and describes clearly how the resultant atypical pattern of dopamine neuron firing could be related to the development of delusions. The model also allows for chronic stress to play a prominent role in the development of this dysfunctional pattern, but stops short of attributing abnormal development to childhood trauma. Nonetheless, the model would easily accommodate a role for childhood trauma. Joa, I., Johannessen, J.O., Auestad, B., Friis, S., McGlashan, T., Melle, I., Opjordsmoen,S., Simonsen, E., Vaglum, P., Larsen, T. K. The key to reducing duration of untreated First psychosis: information campaigns. Schizophrenia Bulletin, 2008. 34(3): p. 466-72. Johannessen, J.O. (2007) An early detection and intervention system for untreated first episode psychosis : Reduction of duration of untreated psychosis (DUP), recruitment through early detection teams (DTs), and two-year course and outcome in first-episode psychosis patients (FEP). University of Oslo, Doctoral thesis. DUO. Johannessen JO, Larsen TK, Joa I, Melle I, Friis S, Opjordsmoen S, Rund BR, Simonsen E, Vaglum P, McGlashan TH. Pathways to care for first-episode psychosis in an early detection healthcare sector: part of the Scandinavian TIPS study. Br J Psychiatry Suppl. 2005 Aug;48:s.24-8. Kurzban R, Leary MR. Evolutionary origins of stigmatization: The functions of social exclusion. Psychological Bulletin, 2001, Vol 127, no 2, 187-208. A personal account of what was learned from multiple episodes of psychosis and how those experiences shaped and influenced that person’s thinking and established a world view that would continue to serve and direct her throughout her life. Examining how those views when challenged create uncertainty and turmoil unless done safely. The acknowledgment that when a person’s core beliefs are undermined and people feel compelled to adopt the views of health professionals, there is no or little possibility of a therapeutic relationship ensuing, rather it could be interpreted as having to deny their own personal principles as the only way they will be permitted to exist. 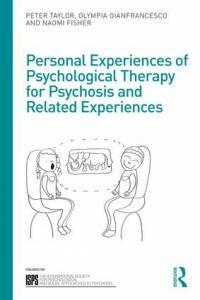 Martindale B, Smith J. Psychosis: Psychodynamic work with families. Psychoanalytic Psychotherapy, vol 25, no 1, March 2011, 75-91. Martindale B, Summers A. The psychodynamics of Psychosis. Advances in psychiatric treatment (2013), vol 19, 124-131. Perona-Garcelán, S. et al. (2012). Dissociative experiences as mediators between childhood trauma and auditory hallucinations. Journal of Traumatic Stress, 25(3), 323-329. Salvador Perona-Garcelán and his Spanish colleagues have been conducting very careful research for years on the relationship between trauma, dissociation and auditory hallucinations. In this study, they demonstrate a relationship between childhood trauma and both delusions and hallucinations in a psychotic sample. Further, they find that the relationship to auditory hallucinations is fully mediated by dissociation, but that the childhood trauma-hallucinations relationship is not. As an added bonus, this careful study on psychotic symptoms is published in the most prestigious psychological trauma journal, emphasizing the increasing recognition in the trauma field of the importance of psychotic symptoms. Sparrowhawk, I. Recovering from psychosis: Personal learning, strategies and experiences. Psychosis, Vol 1, no 1; Febr 2009, 73-81. Tähkä, V. Psychotherapy as phase-specific interaction: Towards a general psychoanalytic theory of psychotherapy. Scand. Psychoanal. Rev. (1979) 2, 113.